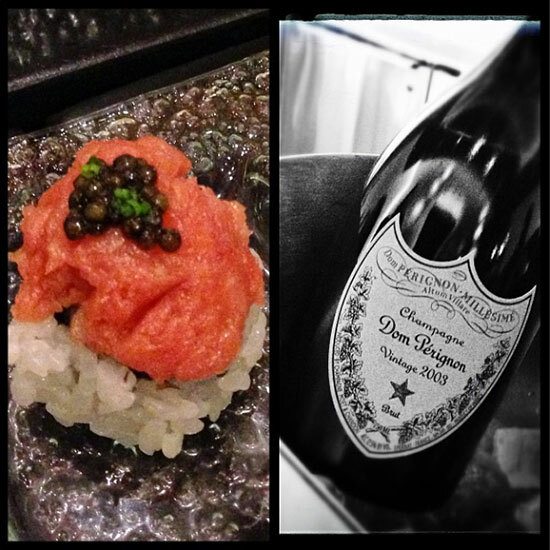 Vintage Dom Perignon: Associate multimedia editor James Pomerantz lived it up at the Food & Wine All-Star Weekend in Las Vegas over the weekend with 2003 Dom Perignon brut and caviar-topped sushi. Best Value Port: Senior digital editor Lawrence Marcus took respectable 3 p.m. break to taste selections from port wine revolutionary Dirk Niepoort. See the results here. Martini with a Twist: At Old Homestead in New York, executive wine editor Ray Isle started his steak dinner with a crystal-clear martini with a twist of lemon. Negroni To-Go: Even though it was served in a plastic cup, I still enjoyed Tooker Alley’s Crown Heights Negroni at the second annual Brooklyn Shaken & Stirred competition.